Finalists who pass the written exam, ORPAT, and Oral Boards will have to pass a background investigation, psychological exam, medical/eye exam, and drug testing. 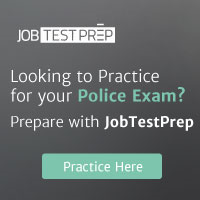 To schedule pre-employment testing (Frontline), go to http://www.nationaltestingnetwork.com and click on Find Jobs and then Law Enforcement. Select the department and then read over all the requirements and if qualified, select a testing location and a time and date for testing on the website calendar. An ORPAT can also be scheduled on the website. For questions concerning the testing process, please contact Customer Support at 866-563-3882. Please do not call the department directly. Return to the Oregon Jobs page.